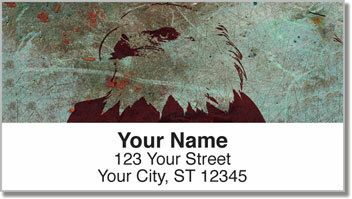 Put the powerful presence of the majestic bald eagle on all your outgoing mail. The eagle is a bird of prey that inspires us with it's amazing wingspan and stony stare. 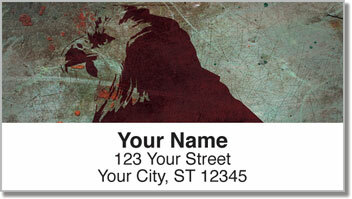 These return address labels make a strong statement that will leave a lasting impression. Your letters and packages will have a distinguished look that is polished, professional and original. Plus, you'll also enjoy how this convenient product makes a tiresome chore extra easy. 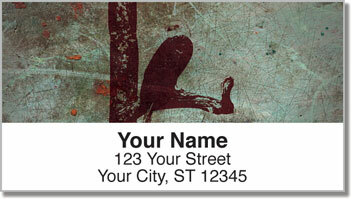 Since these are self-adhesive labels, sticking your return address on each envelope is all you need to do. 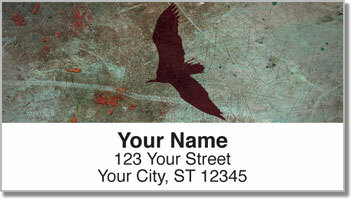 Get your Rustic Eagle Address Labels right now! Complete your order with a matching personal check design.